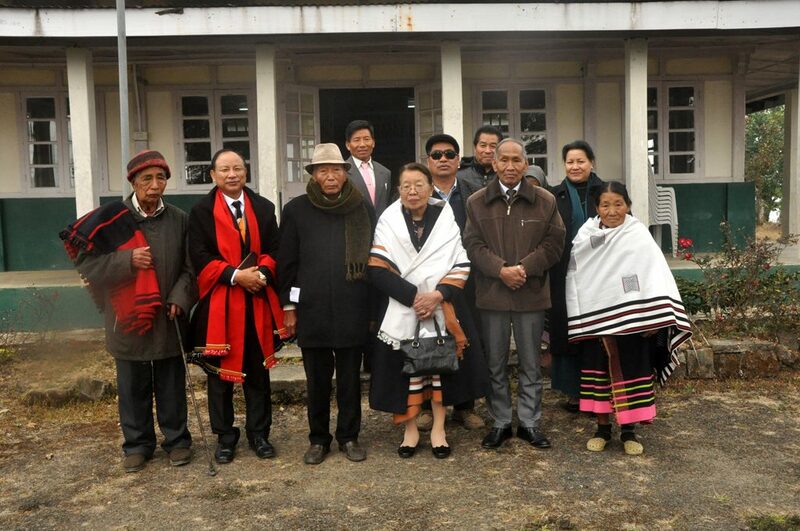 Kohima, Feb. 2 (EMN): The Naga National Council (NNC, Adinno) criticized the government of India for extending the Armed Forces Special Powers Act (AFSPA) of 1958 in Nagaland for six months. The president of the NNC Adinno Phizo slammed the Indian government for extending the draconian law for six months in Nagaland on Dec. 30 2017. Speaking at the 73rd formation day of the NNC on February 2 at Peace Hall, Chedema, Phizo said the dreadful law – AFSPA – was extended again in Nagaland so as to impose the elections here in the State. “From 1958 to 2018, Nagaland is facing this situation, which is to weaken Naga spirit. Under this circumstance, many unpleasant things can grow up and (is) growing,” the NNC president observed. She also alleged that the Indian government, with their divide and rule policy, have kept some people in the designated area arranged by the Indian army. “But since the Naga people are in their own country, they will continue to live whatever circumstances are there,” she added. “No need for foreign ideology, especially socialism is quite opposite to the Naga way of life. The Nagas don’t fight for leadership, but in the community the people choose or elect the person who is trustworthy. Many outside influences are creeping in Nagaland; but be firm, resist evil and overcome with good,” Phizo said. Phizo also recalled with regret that for the past 72 years, the Nagas, instead of developing their country, were forced to defend their nation against India till today. However, she made it clear that the NNC is the only platform for the Naga people to stand together and raise their voice in unison. “NNC is neither a political party nor a group, but it represents the Naga people as a whole. The Naga history is clear that Nagas are not Indians and Nagaland is not Indian territory,” she said. “Long ago we rejected the Indian election and we will continue do so. Let us be clear in our conscience that we are not Indians. We have to raise up young people who will say no to Indian elections,” he stated. Replying to a query if the NNC will accept any solution brought by the NSCN (IM) and GoI, FGN president Viyalie Metha also made it clear that that the NSCN (IM) group do not represent the whole Nagas but just a factional group. The programme was chaired by Acüyi Vadeo, joint secretary NNC, while Rev. Dr. Kevekhalo Lasuh pronounced the invocation. Special numbers were presented by the youth of Sumi Baptist Church Kohima (SBCK) and Chakhesang Baptist Church Kohima (CBCK).